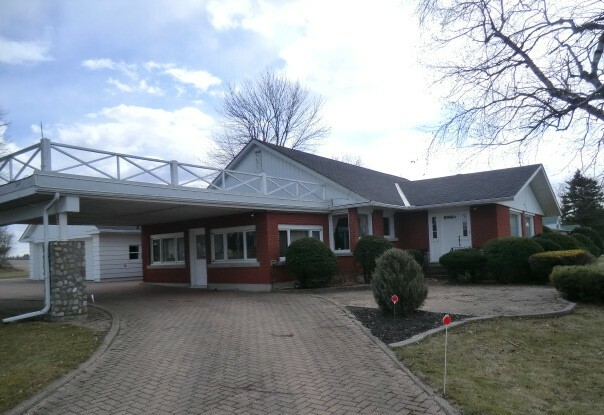 Portland – large 4 bedroom bungalow one block from Big Rideau Lake. Eat-in kitchen, separate dining room and living room, sun porch and 1-1/2 bath. Includes finished basement with family room and laundry room. Property is nicely landscaped, large patio and paving stone driveway, carport and 2 car garage with workshop. Property is 1.23 acre with separate 1 car garage and easy walk to the lake and Village.